I am working with a Dell Optlix 755 that uses a DVI adapter that will allow you to hock up two monitors from on video card port http://accessories.dell.com/sna/productdetail.aspx?c=us&l=en&s=dhs&cs=19&sku=310-4469. They have one going to a Dell Monitor and they would like another to connect to a TV using a HDMI cable. There is no HDMI output from the Video card, I was wondering if you add the following adapter http://www.newegg.com/Product/Product.aspx?Item=N82E16812200551&cm_re=dvi_to_hdmi_adapter-_-12-200-551-_-Product to the end of the DVI connector will it work? I was wondering if you add the following adapter http://www.newegg.com/Product/Product.aspx?Item=N82E16812200551 to the end of the DVI connector will it work? 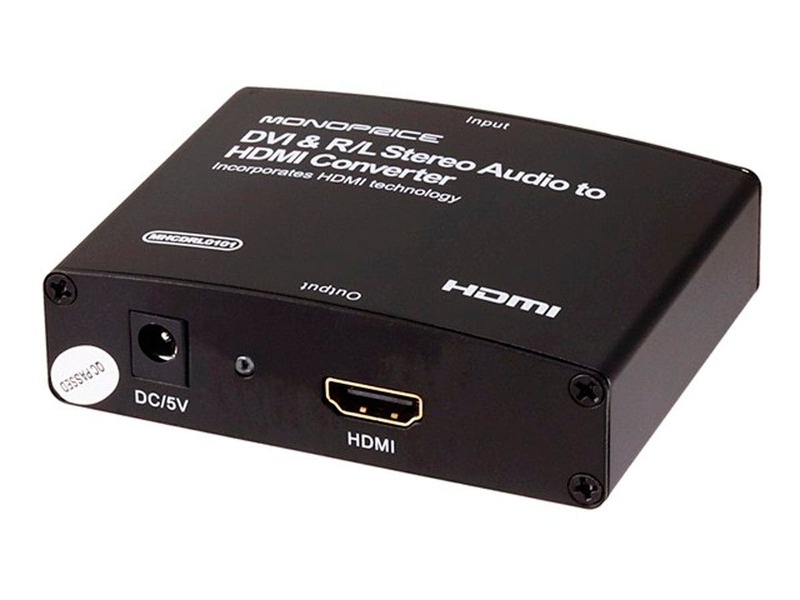 That adapter converts from HDMI to DVI, which is a simple passive connection. To go the other way (DVI to HDMI) you would need an active device like this, which will also include the audio in the HDMI signal if desired. Note that Newegg charges quite a bit more for the same product. Thanks for getting replying so quickly. Should be interesting setup, its for viewing a high power Biology microscope to a large TV.